Hey guys, does anyone have a very nice set of front and back seatbelts for sale or point me in a direction for a set that is not an arm and a leg? Thanks in advance! Try Autobahn Dismantlers In El Cajon, CA he sells the leftover parts from the Singer donors. He’s on eBay as 1autobahn1. Rothsport Racing should have some. They are close to PORTLAND OR. Ask for Earl the pearl. Thanks guys. I checked on their websites, but didn't see any. I may call them next week. PartsHeaven in Hayward as well as LA Dismantlers worth a try too. When you get good at finding used parts, you know to call these guys and ask. Only sh&t that sits gets updated on websites. Stuff that is wanted sells quick. Last edited by golfnutintib; 12-29-2018 at 01:49 PM. Mike at Autobahn in El Cajon, CA is where i got my seat belts, my car had racing seats in it with a harness and zero seatbelts including no hardware, Autobahn had everything and the price was reasonable. I have exchanged emails with Justin many times and I will be getting new belts from them as soon as I can get mine out to send them for refurbishing. Their seatbelts meet FMVSS certifications, so no worries on that front. Prices are reasonable too. One RLer has seatbelts from them, hopefully he will chime in. You send them your seatbelts? Is this cheaper, like a core charge or something? Correct, they rewind your mechanism with new webbing. Not sure, never done it myself just know people that have. 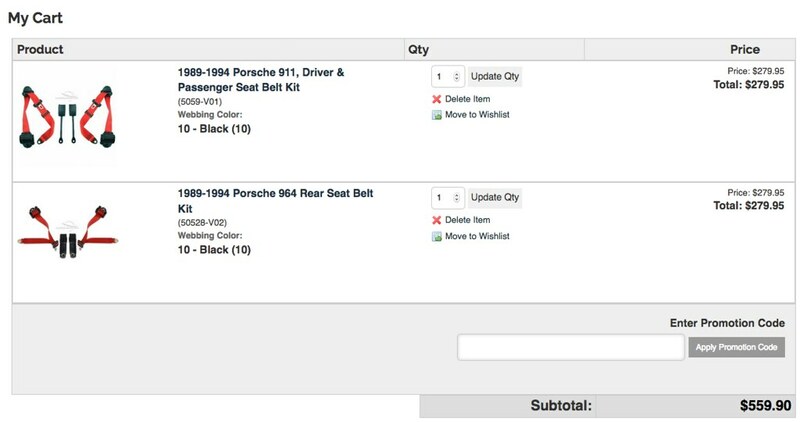 I bought the OEM RS belts for my car, I think they were just under $500 for the fronts so the deal you posted sounds pretty solid assuming they meet safety standards. I have to check but I have some rear belts someplace out of a low mile car. If you want I will look through my parts bins. That would be great Anthony, thank you.